Hello and welcome to my blog today and another edition of our Fancy Folds Hops. 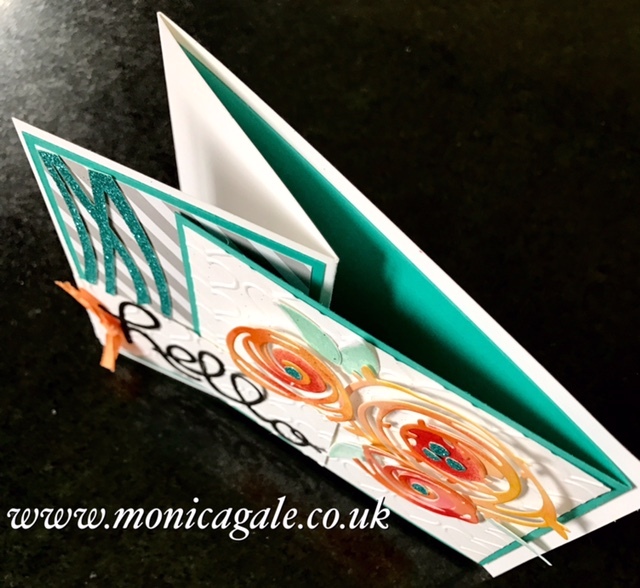 We are creating Z Fold Cards today. This one is easy but has a bit of a WOW when opening so well worth making for a special occasion or birthday. I haven't played with the Swirly Scribbles in so long I decided to pick it for today's card. I am not entirely sure I am happy with the end card (I certainly wasn't happy at the half way point of creating it) but its here now. Even though I wasn't feeling it I kept playing with the design as you do, and it wasn't until the very last step that I started feeling it a bit. The addition of some sparkle !! That was the turning point. 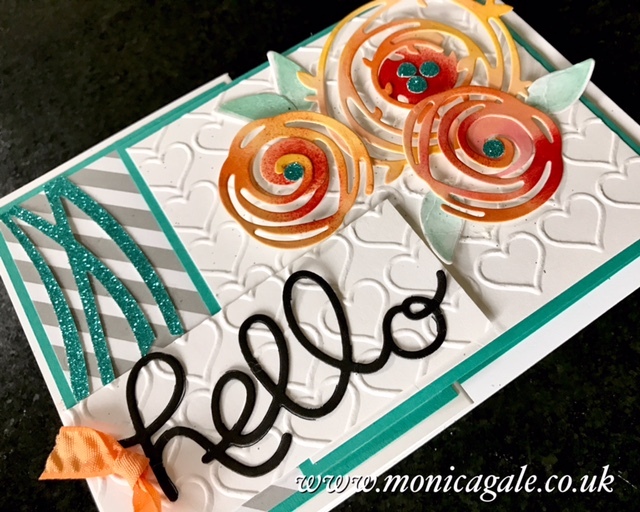 The background white panels were embossed using the Big Shot and Happy heart embossing folder, while the sentiment was cut from the Hello You thinlits set. The fold itself is really straightforward and this next picture shows it from above so that you can understand the construction if you haven't watched the video yet. 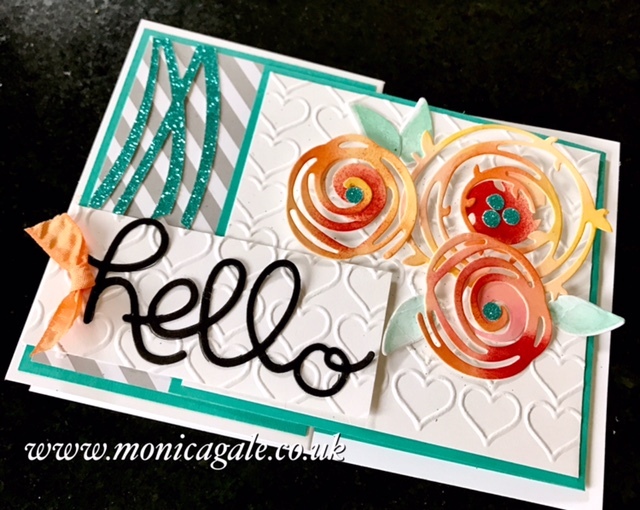 The scribbles were cut from Shimmery White card then sponged with three different colours, Crushed Curry, Pumpkin Pie and Watermelon Wonder. I have also kept some of the middle cut out sections to make the swirls a little more solid. And if you get sidetracked here's the whole list of blogs. your card is amaaazing: so color- and powerful. Love it.